Acupuncture is an ancient healing art from China that has been used for over two thousand years. In the theory of acupuncture, man is healthy when the vital life energy of "Qi"-pronounced 'chee'- is in balance (excess, deplete, stagnated, etc. ), we feel unwell or may get sick. Consequently, acupuncture is used to control and restore the balanced Qi by manipulating needles on specific points of the surface of the body. Dr. Sasaki uses disposable needles only. These needles are solid and hair thin metals. 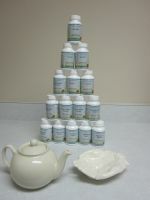 They come with various thickness and length depending on patients need. Usually needles stay in place for 20-30 minutes. 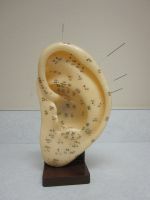 Dr. Sasaki is a gentle and skillful practitioner in locating precise acupuncture points. Patients may feel a slight tingling sensation and/or numbness, pressure when a needle is inserted. All these sensations typically subside once needles are removed. This is then followed by a complete sense of relaxation and ease. The national institute of health (NIH) consensus statement lists many health conditions that acupuncture may help including back pain, headaches, neck pain (auto injury), joints pain, osteoarthritis, asthma, PMS, carpal tunnel syndrome, addiction, etc. Dr. Sasaki treats stress management, weight problem and practices facial acupuncture to stimulate circulation and regulate tone of the muscles under the facial skin. At the initial visit, an acupuncturist takes a thorough history and does a physical examination which includes the pulse and tongue. From the detailed history and physical examination, the practitioner will determine the specific diagnosis for your illness and then propose you a treatment plan which may require several visits. Patients are encouraged to inquire about their treatment plan, safety, prognosis, and risks if any. Usually the initial visit will take an hour in order to allow for a complete history taking and exam. Follow-up visits are typically 30-45 minutes depending on patient's needs. Occasionally in this office, we provide other therapies, such as Japanese Shiatsu, electric stimulation, Infra-red lamp, hot pad, and exercises which may be incorporated with the acupuncture treatment. Dr. Sasaki is a licensed chiropractor and accupunctist. He studied human anatomy and is knowledgable about inserting needles in a safe fashion. Dr. Sasaki uses only disposable needles and bleeding rarely occurs. He is well aware of the concern over infectious diseases and takes every measure to ensure cleanliness as all health care professionals do.